A few weekends ago (26th March), it was glorious weather in Conwy, over the previous weeks I had tried and tried with the Honda 7.5 (engine no.1) but to no avail. 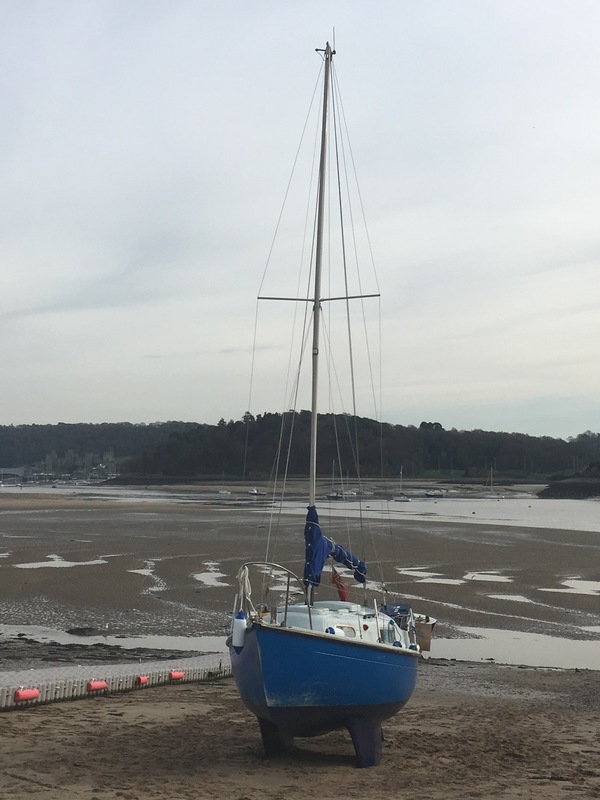 So it was a Saturday morning and I was all set with my newly serviced Yamaha 3.5 (engine no.2) to motor across to Deganwy Beach to dry Poppet out and get her antifouled. Well the engine wouldn’t tick over, it was all or nothing, and I found out later that I could have got there without idling but I don’t know what I’m doing and didn’t want to risk anything. Off came the engine and it was given the once over in the Bay of Colwyn boat yard at our BBQ and it was soon clear that her rusty fuel tank was the problem. 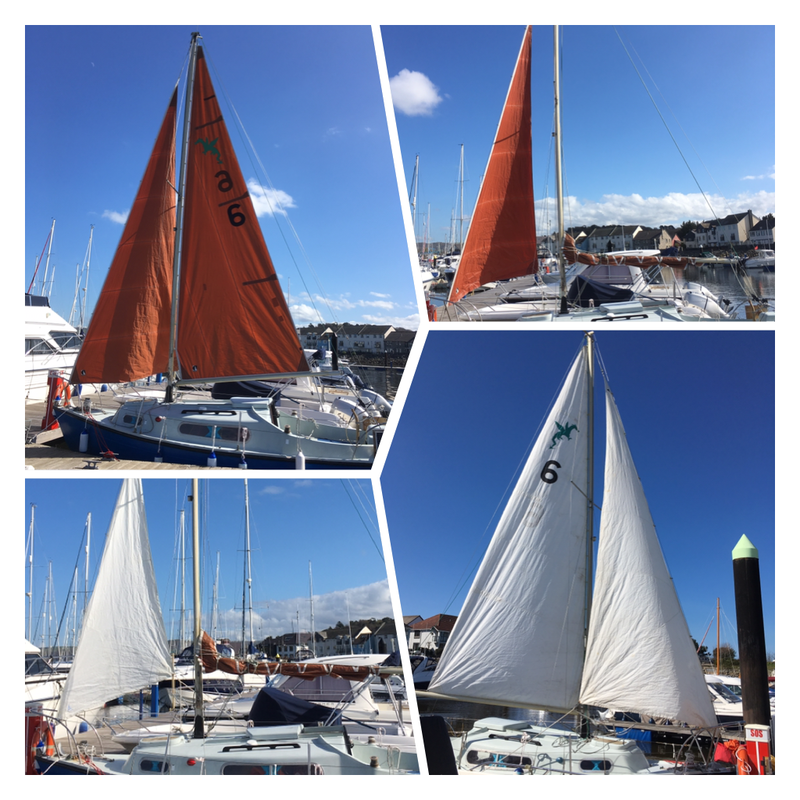 So after a few offers to borrow an engine (my sailing friends are amazing!) I borrowed a Mercury 4 (engine no.3 – not actually mine so not sure it counts! ), the next day I chugged across to the beach (Poppet was moving like a brick through sludge with all her sea life attached!) 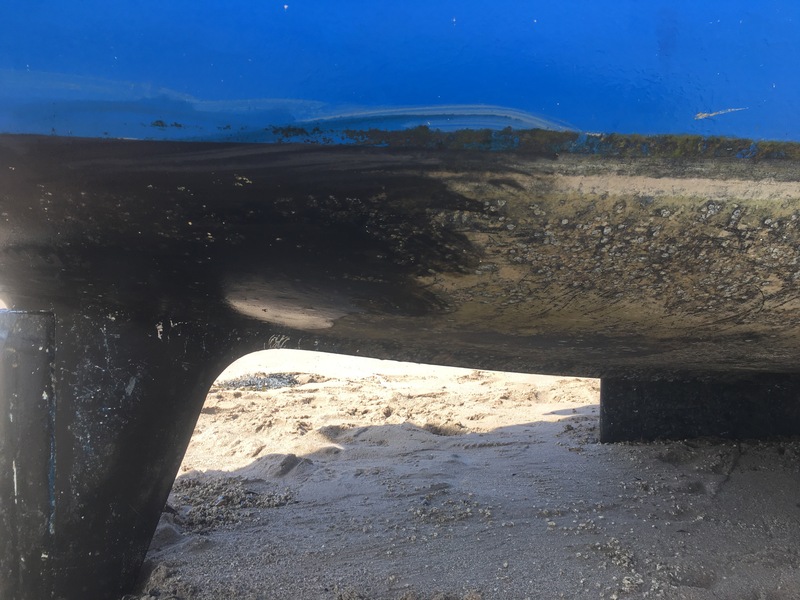 and spent hours scrubbing her and then antifouling her… she was very crusty and covered in Marina poop. 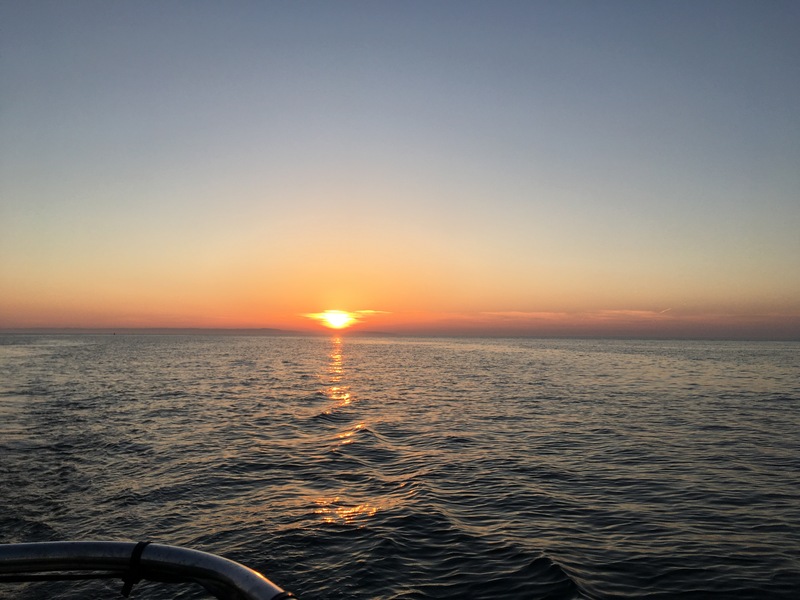 Just before I started painting a friend turned up with cake and a cuppa – life saver… then by 5pm it was off home to scrub the antifoul off me!!! Later we were back to Poppet with an Indian meal and awaited the tide to come in and motor back home to Conwy. Poppet moved through the water so nicely, she was more responsive than she had been, so that was good. 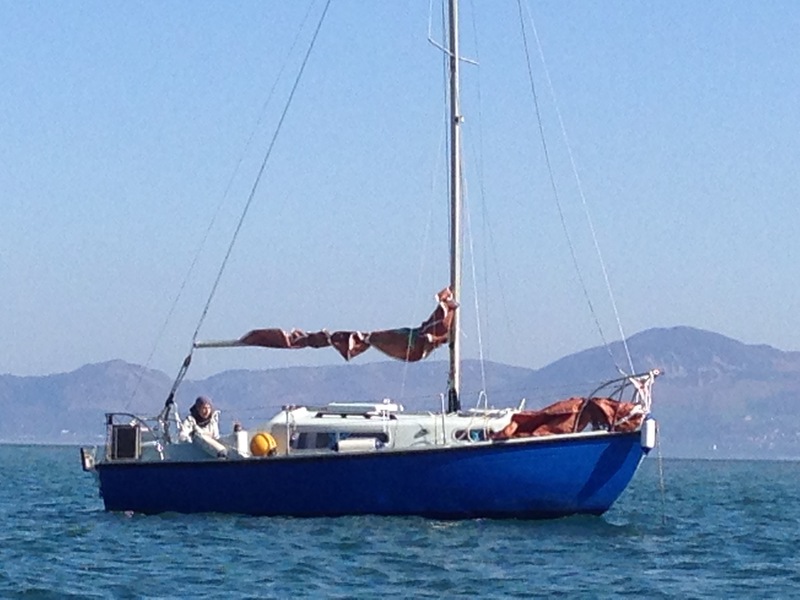 Well I was a tad terrified about getting back into my berth (something I really struggle with!) especially with my friend being a yachtmaster instructor (pressure was on!) and although it was a little hairy in the dark I actually did it without bumping anything! I have to say it was the first and only time I have managed that! So the hunt for an engine was on… at least now I knew that I was going to have to buy one. Well a message from a friend showed an engine on eBay… and although it was based in Truro and local collection only, I got in touch with them, bought it and it was arranged to be delivered… yey! In the last post I wrote about my new cushion material, so after what felt like days and nights of sewing (on my 80’s sewing machine that I’ve used for years but hadn’t read the book – but now I sort of know what I’m doing!) 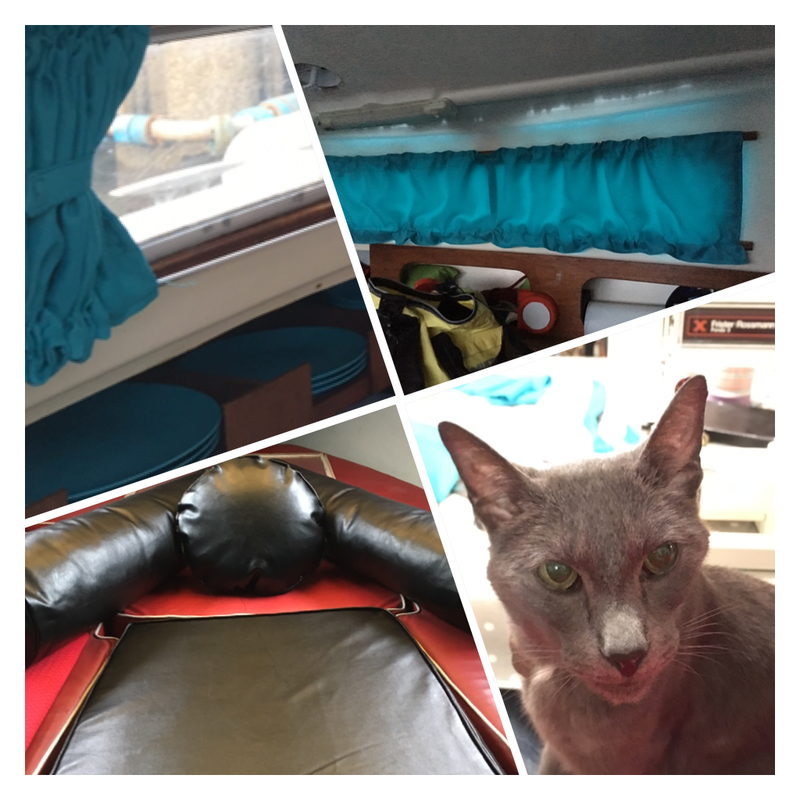 I made myself a seat cushion for the v-berth and turquoise curtains – to match the plates! when making the curtain tie backs, I had help from a furry friend… not! But anyway – my first sewn zips and chorded seams… I think I did ok.